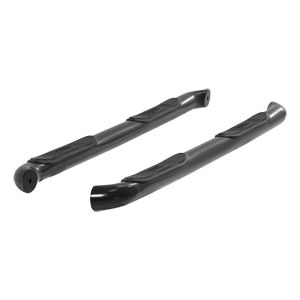 ARIES side bars provide a comfortable and durable means for entering and existing your truck or SUV while also giving your vehicle and unique and professional look. 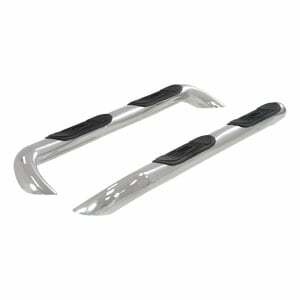 All of ARIES side bars are created to be a reliable step for your foot with high quality materials and anti-skid design to prevent slips. 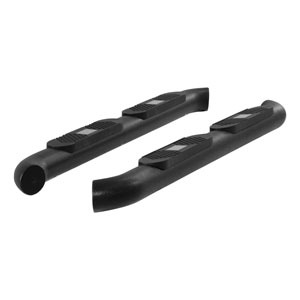 ARIES side bars come in 3 inch and 4 inch variations depending on your needs and vehicle type. 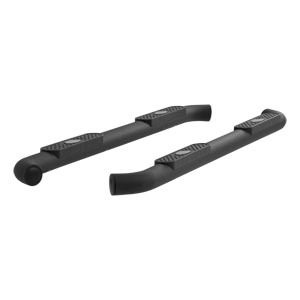 The 3 inch side bars are available in the standard round design along with the ARIES Pro Series line. 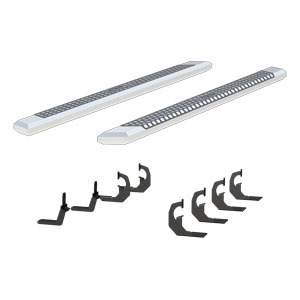 The Pro Series line are designed to be distinguished, durable, and sleek while providing extra comfort with raised step pads. 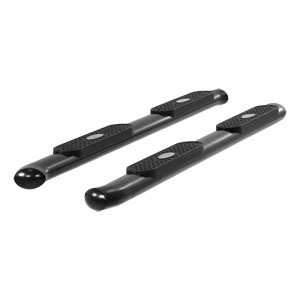 The 4 inch side bars are available in wheel-to-wheel or big step round designs and a standard oval design. 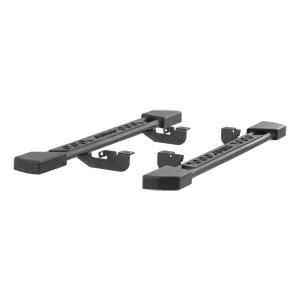 The wheel-to-wheel side bars are made to span the entire length of your vehicle's wheelbase to give an enhanced appearance and meet all of your utility needs with easy access to the truck bed. ARIES Big Step side bars are designed to be heavy-duty side bars that are bigger and stronger than your average side bar to give your truck a more aggressive look with high-level strength. 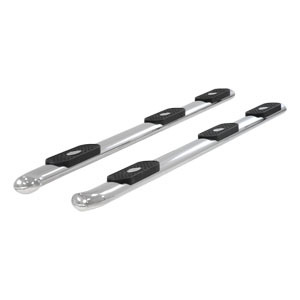 Finding a side bar to match your vehicle and your needs is easy with ARIES line of 3 inch and 4 inch side bars. 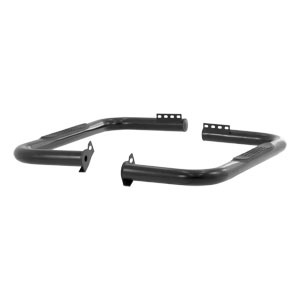 Use our Vehicle Selector to find just the right side bar for your vehicle's make and model.